I like scallops, but I have been introduced to them smother with butter and cheese. 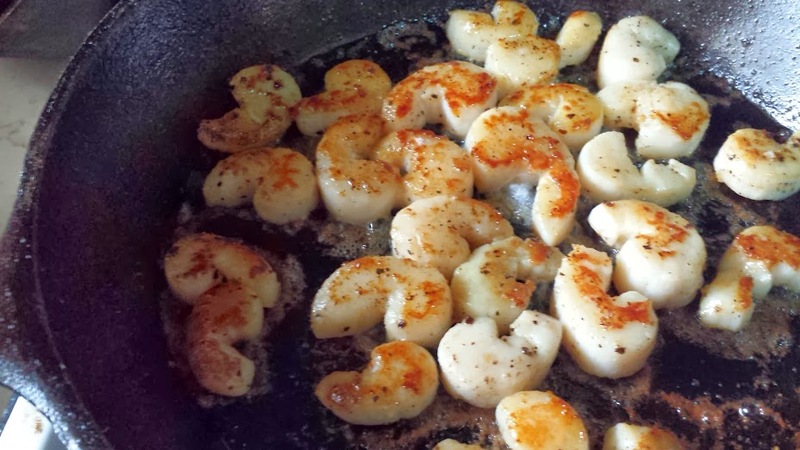 And when I get my hands on some fresh (ly thawed) scallops, I wanna do them justice. So I decided to sear them. 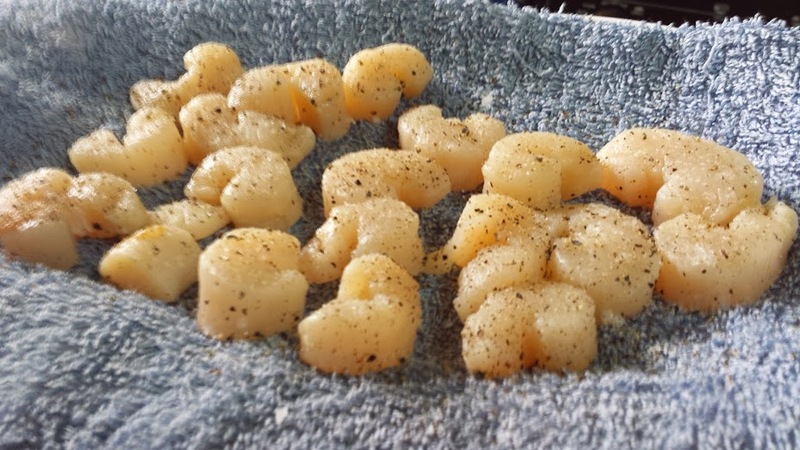 Scallops are not available naturally locally so all scallops you see are frozen (or cooked). This time, mom was able to buy P300/kilo of scallops, instead of the usual P600! When I looked at them, I realized they still had their muscle thing attached and had to go through each one by one. The odd thing I noticed was the muscle is tiny and cutting it made the scallop U-shaped. So why are scallops round? For easier cutting of the muscle? I dried this on same cloth towel, seasoned with salt and pepper, and seared in my hot cast iron pan with butter and oil. Flip and sear as well. Done in 5 minutes! I did mine in two batches (worth 1 kilo) because I will overcrowd and end up steaming them instead of searing. Yuuuumy. Simple but good.